The affluent community of Corona Del Mar is truly in a class by itself. Corona Del Mar meaning ”Crown of the Sea” runs along a bluff at the south end of Newport Beach. There you will find Corona Del Mar beachfront property offering fine architectural details and breath-taking unobstructed white water, Catalina and city light views. Corona Del Mar State Beach and Crystal Cove State Park are popular destinations for visitors and residents. There they will enjoy the white sandy beach, tide-pools, and the crashing waves. 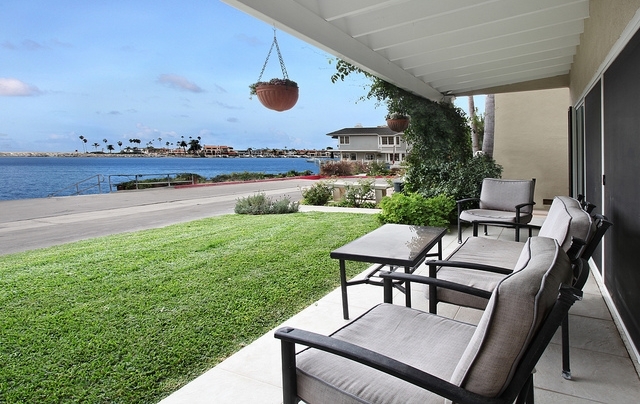 Come to Corona Del Mar beachfront and enjoy Southern California living at its finest! Below you will find all available Corona Del Mar beachfront homes for sale. Please feel free to browse Corona Del Mar beachfront real estate and let us know if you have any questions or would like assistance with your home search. Visit our Corona Del Mar waterfront page for all homes on the water located on Corona Del Mar's breathtaking coastline. If you would like further information or assistance regarding Corona Del Mar beachfront real estate and available homes for sale on Corona Del Mar's beachfront communities, please feel free to contact us.